The Ignis is Maruti’s funkiest car, and a youth-centric automobile, with a range of dealer-level customization options. Here are 5 inspiring ideas for Ignis design customizations. Maruti offers a range of personalization options for the Ignis, available right at NEXA dealers. Customers opting for this hatchback can opt for the accessories even while booking the car. From body cladding to the exterior styling kit and touchscreen infotainment unit, the personalization options offered by Maruti has something for everyone. And the best part is, you get to keep your Ignis’ warranty intact. 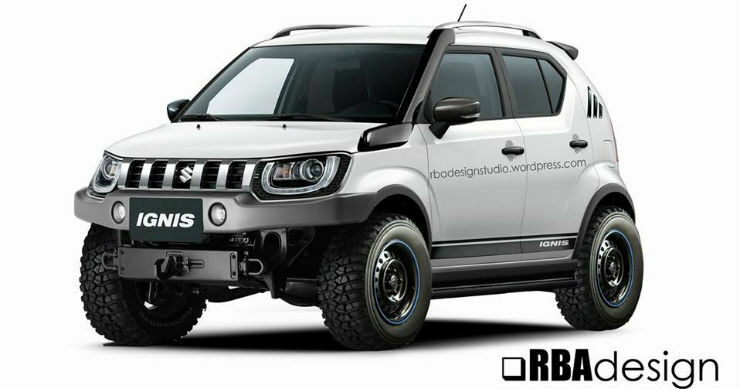 Graphic designer Meet Singh has given the Ignis a tasteful makeover, by combining black, grey and red colours. 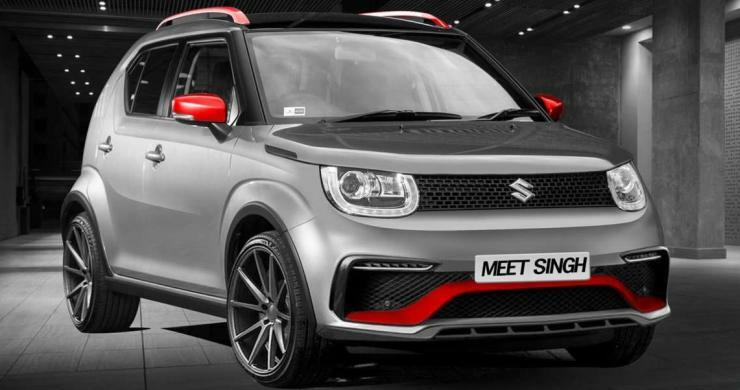 In terms of changes, the Ignis reimagined by Mr. Singh features Vossen alloy wheels running on low profile rubber, a more aggressive front bumper with red highlights, a de-chromed front grille, roof rails painted red and wing mirror housings done up in red. The car also gets a carbon fiber wrap on the bonnet to round things off. Every detail on this mod job is something that most Ignis owners can source from the after-market. Simple, yet tasteful! The Ignis has off road capable genes, what with the Japanese Domestic Model (JDM) featuring an all wheel drive layout to complement the car’s tall ground clearance. If you’ve got the money, and the will, the Ignis can be transformed into a butch micro SUV of sorts, replete with a snorkel, off road bumper and tall wheels. A render from RBA design shows how this can be done. We even got in touch with an Indian car tuner to estimate how much such a modification would cost. 2 lakh rupees, and 20 days for the job, is the quote we received. If a full off-road model is too-extreme for you, why not give it butch chops and make it ready for the rough and tumble of urban roads? 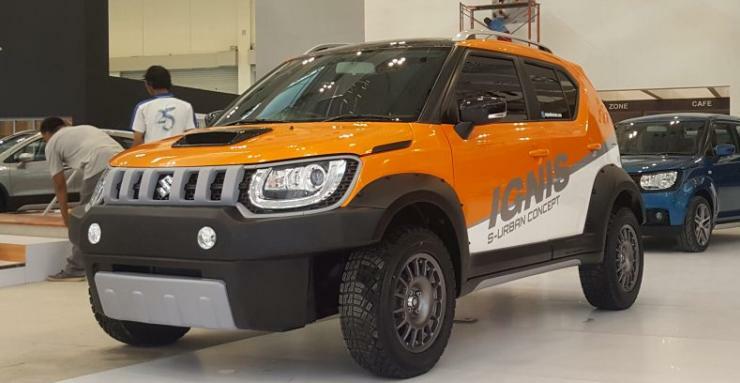 Well, this customized S-Urban concept Ignis that was shown at a motor show in Indonesia is something that you could use for inspiration. From a taller stance with a suspension lift, chunkier all terrain tyres and bumper inserts, this one looks rough and ready to take on the urban jungle. A lowered Ignis has dollops of character. While at it, you could even plonk in stiffer suspension to make the car a really sporty ride around the bends. 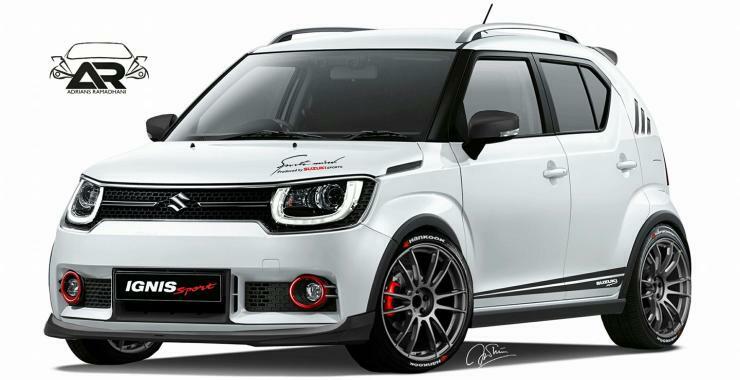 In fact, there’s a render that gives you the low down on what the lowered Ignis would look like. From low profile rubber sitting on tall, offset alloy wheels to bumper extensions, the car can look the part. And if you want more shove, there are remaps and tuning boxes readily available for the diesel model, and a free flow exhaust-high flow air filter combination for the petrol.